Posts that are on the front page of the website. December was a busy month at Freedom Childcare Center. We spent a lot of time preparing for the birth of Jesus. We learned many Christmas songs, made gifts and ornaments, and presented our children’s Christmas service on December 20th at St. Thomas Lutheran Church. Freedom Childcare Center is Blessed to have so many musical talented teachers on staff; we have Mrs. Stechholz who plays many instruments, Mr. Zack, with his guitar, Mrs. Zueligg and her guitar. On Wednesday, November 11, we were visited by Reverand David Stechholz, Mrs. Stechholz’s husband. 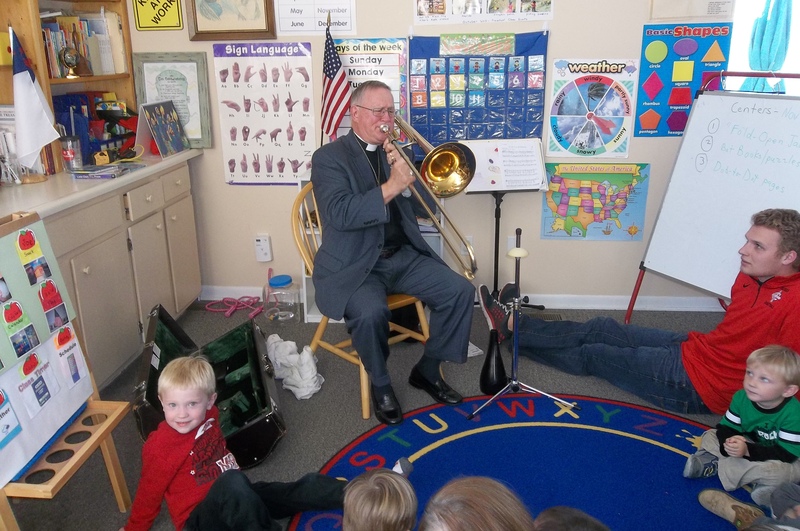 He played many of our songs that we sing on his trombone. Then, he asked the children if they would like to sing around the piano. 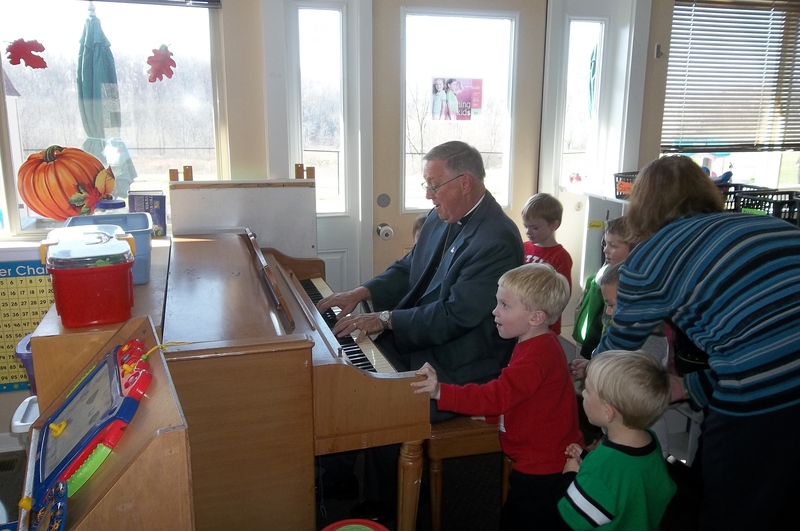 The children gathered around Pastor Stechholz as he played Christmas songs for us to practice for our children’s Christmas service. The Children’s service will be on December 13th at 2:00 pm at St. Thomas Lutheran church. Everyone is welcome!